And so it began-a chain of events that brought America's greatest attorney, Clarence Darrow, into the fray and transformed Sweet into a controversial symbol of equality. Historian Kevin Boyle weaves the police investigation and courtroom drama of Sweet's murder trial into an unforgettable tapestry of narrative history that documents the volatile America of the 1920s and movingly re-creates the Sweet family's journey from slavery through the Great Migration to the middle class. Ossian Sweet's story, so richly and poignantly captured here, is an epic tale of one man trapped by the battles of his era's changing times. 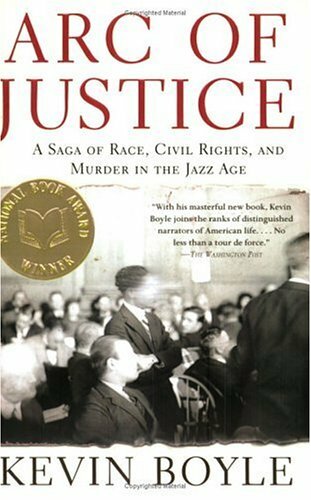 "Arc of Justice "is the winner of the 2004 National Book Award for Nonfiction.